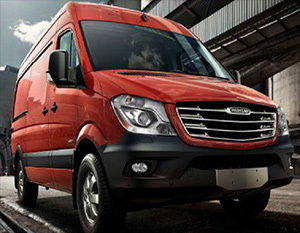 If you are looking for Sprinter Van service in the Central Florida area, visit us here at Orlando Freightliner. Whether your Sprinter is a commercial, fleet, or personal vehicle, you can rest assured that our Factory Trained and Certified Technicians here at Orlando Freightliner will offer you unparalleled service for your Freightliner Sprinter or Mercedes Benz Sprinter. Our shop is open more hours to fit your schedule. Dedicated factory-trained Sprinter Techs to fix your Sprinter to the highest standards. Huge Parts On-Hand Inventory – we have the most frequently needed parts in inventory, so you don’t have to wait. We’re not a fancy car dealership that charges fancy car prices. We are an award wining shop that services your Sprinter Van without fancy priced overhead. Know that when our techs fix your Sprinter Van, your getting our commitment to back up our work. We offer workmanship and parts and labor warranty. Ask your service writer for details. *Assumes competitive estimate is legitimate and includes all safety related damage.